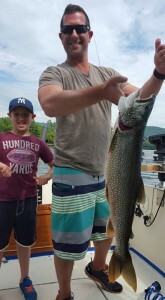 Home > Uncategorized > Lake George Fishing Report 2015- They’re biting ! 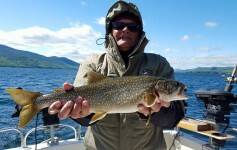 I am glad to report lots of great action on Lake George in recent weeks. 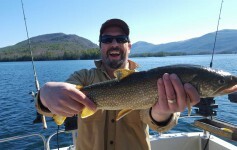 The lake trout are biting and 2015 is shaping up to be a good season. I’m sharing a few photos here , and there’s lots more to come. 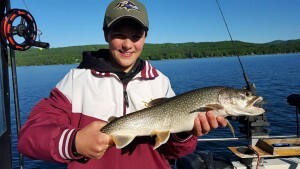 Now is a great time to hit the water- the big summer holiday crowds are not here yet and whether you are a semi-pro or a novice, there’s nothing like the luxury of fishing peaceful waters with not another boat is sight. 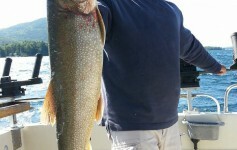 Make your Lake Goerge Vacation plans now.